Physician Assistant Chelsea Russell clearly remembers what it was like walking into Advanced Allergy, Asthma, and Immunology for the first time. She and her husband, Sean, were new to San Antonio and the wide range of allergens it has to offer. Chelsea was fed up with feeling bad, but not even sure there was an answer to her allergy ails. And just to further complicate matters, she had a new puppy, and an allergy to dog dander. Dr. Dinger prescribed an oral antihistamine and a nasal spray, as well as a rescue inhaler. She also started treating Chelsea with immunotherapy. It worked wonders for Chelsea’s allergies. After three years of immunotherapy, Chelsea no longer even had to take allergy medicine! To say Chelsea was impressed was an understatement. “I know first hand how great it feels to finally be able to breathe through your nose or not break out in hives if you want to snuggle with your dog,” she said. 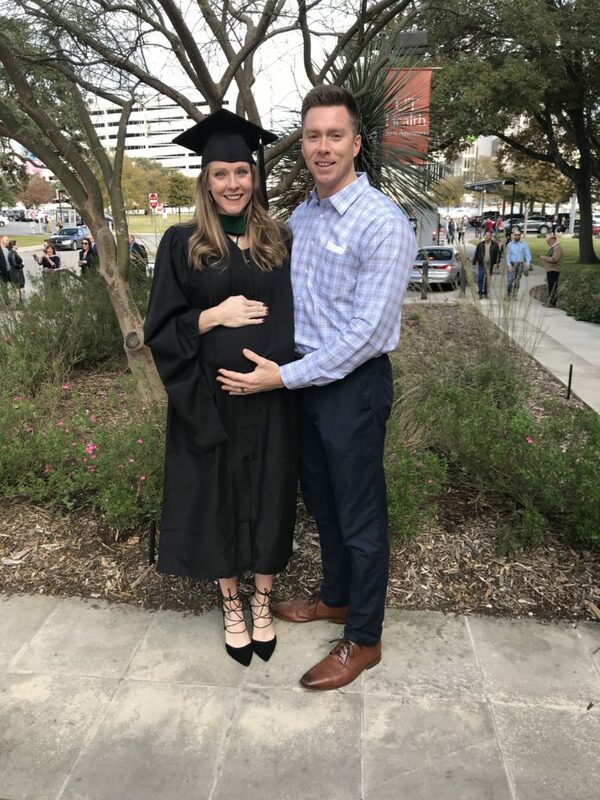 Back when Dr. Dinger first started treating Chelsea, she had recently graduated from Auburn University (top 5% in her class) and was starting PA school at the UT Health Science Center. Fast forward four years, and Chelsea has her MPAS, and is treating patients at Advanced Allergy. Last month, Advanced Allergy welcomed Chelsea as its newest PA. Chelsea says she sees herself as an extension of Dr. Dinger. She not only spent years training for this job in school, she also spent the summer learning directly from Dr. Dinger about Advanced Allergy’s patient population and how to treat allergy patients in San Antonio. Chelsea is nationally certified and state licensed to practice medicine in Texas. She is now seeing patients in the office, can take histories, perform physical exams, interpret lab results, order lab work and other diagnostics, and prescribe medications. “I chose this career because I truly love medicine. Caring for patients, knowing disease processes and treatments, how to interpret diagnostics, discussing challenging cases with my co-workers, I love it all!” Chelsea said. It is interesting, however, that Chelsea didn’t always know she’d be working with allergy patients. 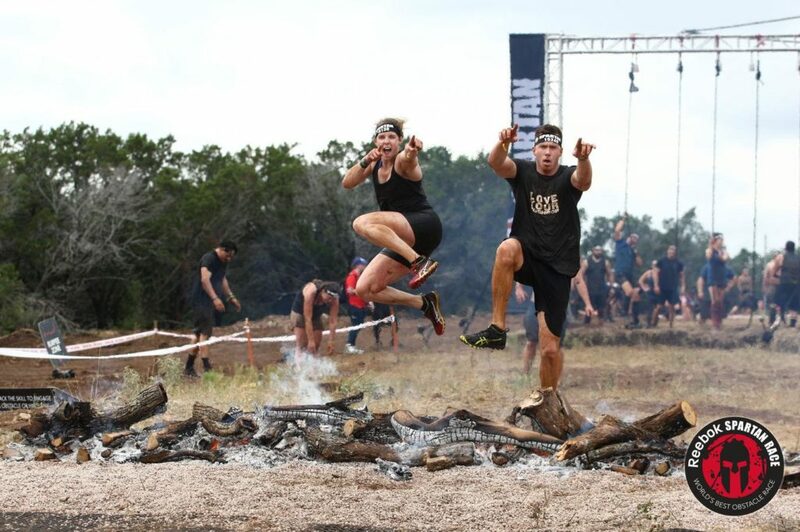 At one point, she even thought she might want to work in urgent care, yet Chelsea felt like she was being pulled in a different direction – toward Allergy, Asthma, and Immunology. Just like her experience suffering through allergies for years made her confident she could show patients empathy, she also felt drawn to having Dr. Dinger as a mentor in her first job. “Dr. Dinger is very good at talking face-to-face with a patient. She’s just incredibly smart too. It is extremely fulfilling to work alongside her,” added Chelsea. When Chelsea isn’t pouring her heart into treating patients, she’s trying to relax and care for herself. 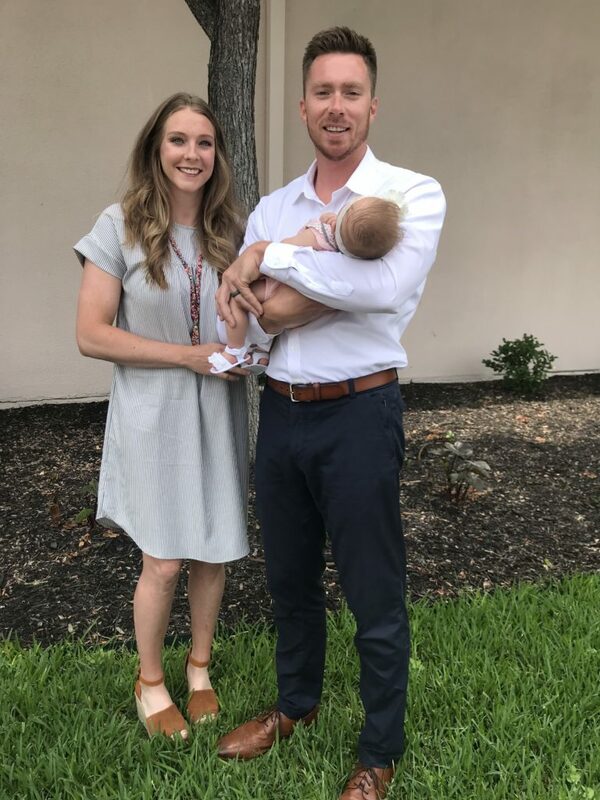 That can be a challenge, since she and her husband, a local pastor, welcomed baby girl, Olivia Grace, earlier this year. The busy couple also now has two boxers, Sampson and Titus … and Chelsea tolerates them just fine these days thanks to Immunotherapy. Just as she was once helped by Dr. Dinger, Chelsea looks forward to helping patients at Advanced Allergy move past the pain of allergies and asthma. 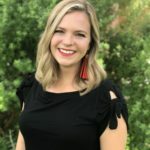 Chelsea was born in Fort Walton, Florida, but as a military family has lived all over – Alaska, Virginia, Georgia, and even Okinawa, Japan! To schedule your next appointment with Chelsea, please contact our Advanced Allergy front desk staff at 210-499-ITCH (4824). Chelsea sees patients at both Schertz and Stone Oak locations. She can treat the whole family! 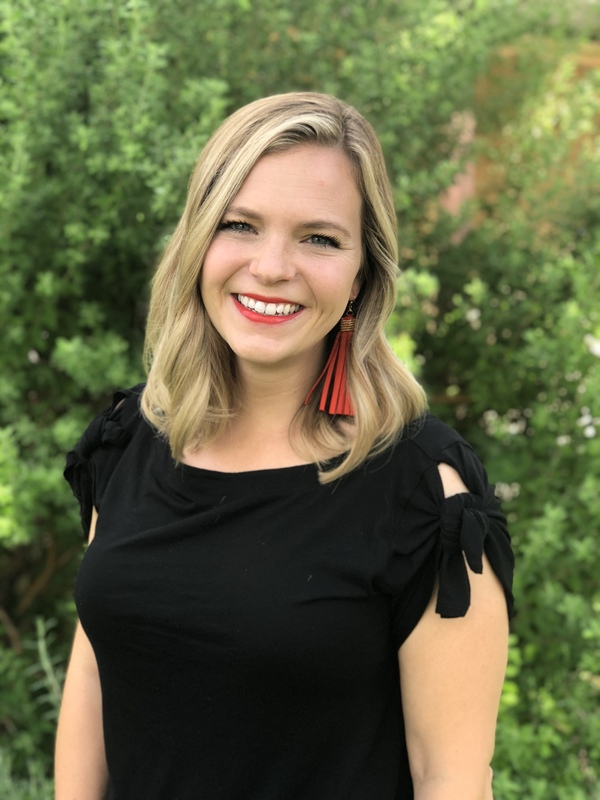 Jenna Natho is a broadcast journalist who shares her creative writing and blogging with Savvy Media PR for Advanced Allergy, Asthma, and Immunology.